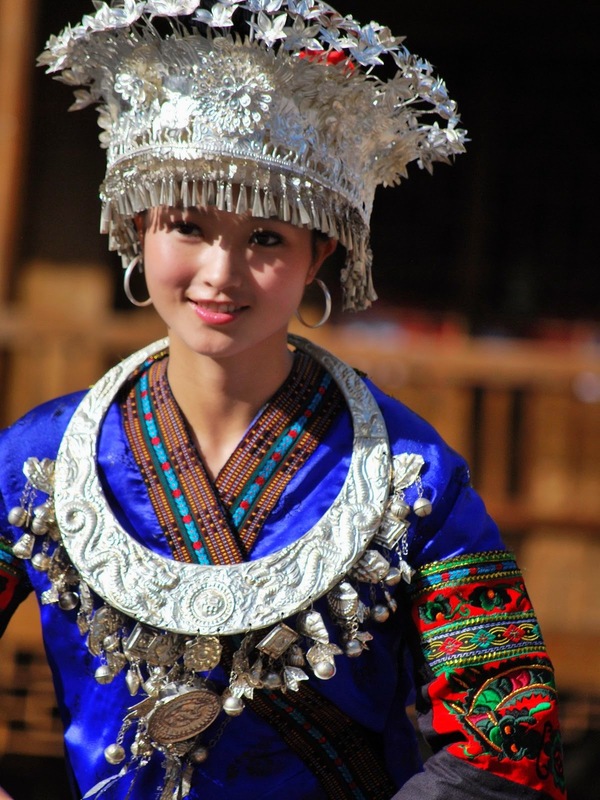 The Miao—known as Hmong outside of China—are a  diverse people group scattered throughout China’s southern provinces. Descendant from the San Miao kingdom and possibly from the ancient Daxi rulers of China (circa 3000 BC), the Miao settled through the southern mountains of China. 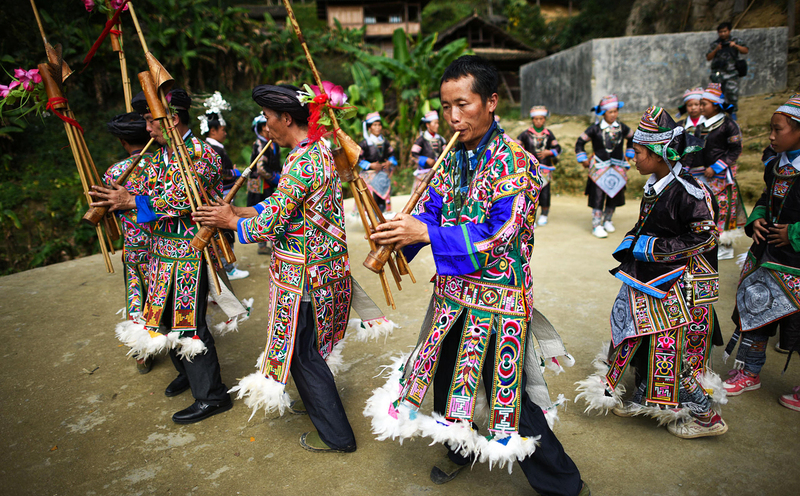 The Miao are a celebratory people. Their most popular festival is the Lusheng Festival. Music abounds as men march the roads playing the lusheng, a bamboo flutelike instrument. 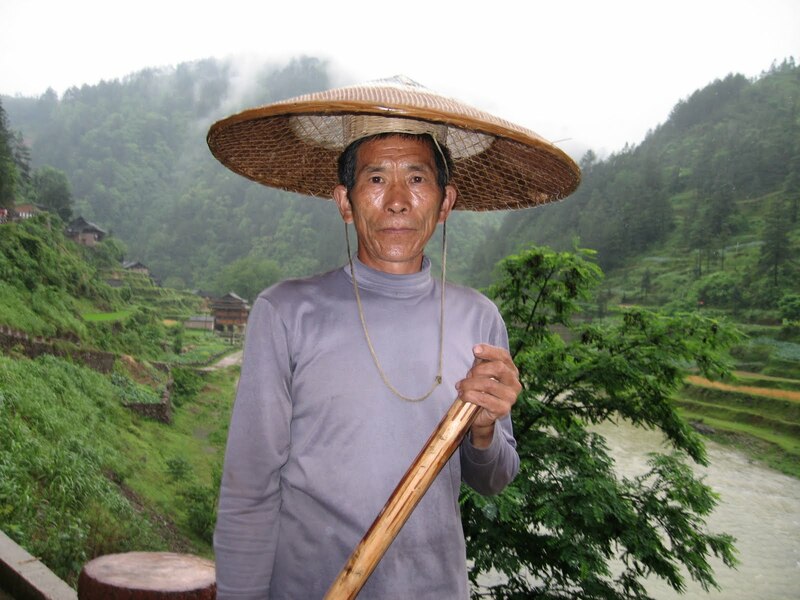 Miao peoples are usually multilingual and are expert farmers and craftsman. Miao women are known for their colorful embroidery, made with painstaking effort at detail and complexity. Household chores, cooking, farming, hunting, and fishing are done by both men and women. Miao villages have become some of the cleanest in China after decades of suffering from malaria outbreaks. Yet, the Miao people still suffer. Rituals are performed to appease unknown spirits—sometimes at great expense (multiple oxen can be slaughtered when seeking cure from illness). It is believed that when one dies, a third of the soul goes to the “other world”, a third remains in the grave, and the last third dwells in the family’s home as a means of protection from evil. In fact, while there are thousands of Miao believers, these Christians only exist among a few subgroups. However, most Miao are spread over various remote, mountainous locations with no access to the Gospel. Groups like the Liupanshui, the Mashan, the Luobohe, and many others still do not have a single believer in any of their villages.